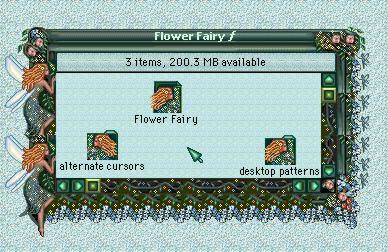 A multi-floral color scheme with fairies; created for K2. 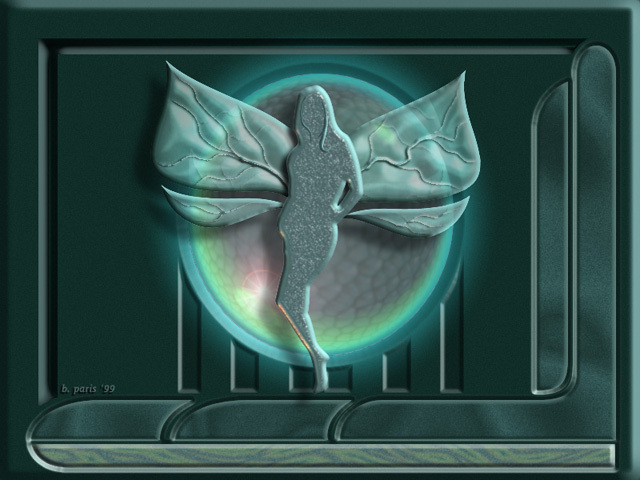 Note the tiny fairies on the right side and the leaf tendrils at the top. This is the final version image . Flower Fairy is available on CD. Bill Paris's desktop image in 640 size. To save, click "Save this image as" at the lower right side of the image and save it to your desktop. 92K.